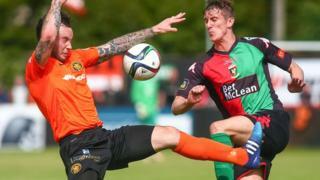 Glentoran's Marcus Kane scores a superb equaliser in the Irish Premiership. 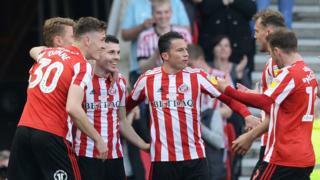 Ben Roy had given newly-promoted Carrick the lead in the second half with a deflected shot. But Kane produced a spectacular volley to secure a point for Eddie Patterson's side.